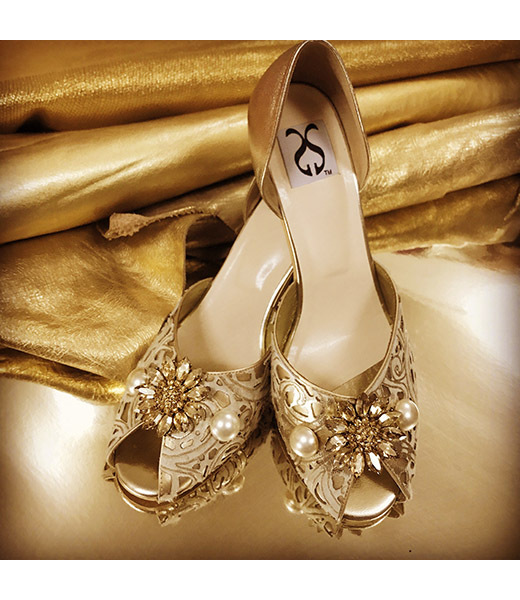 Entrepreneurs within the Pakistani designer shoe industry, Samia & Azmay are sisters with popular acclaim, renowned for providing unmatchable quality, exceptional detail and global trends to the local designer shoe industry. 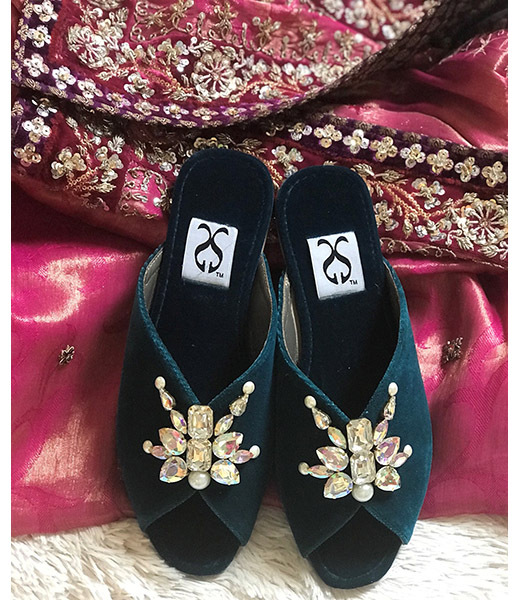 Having actively been designing ,the duo are often recognized for pioneering the concept and retail of formal designer footwear in Pakistan, having been the first to adorn their creations with the likes of brooches and Swarovski crystal mesh, in Pakistan. 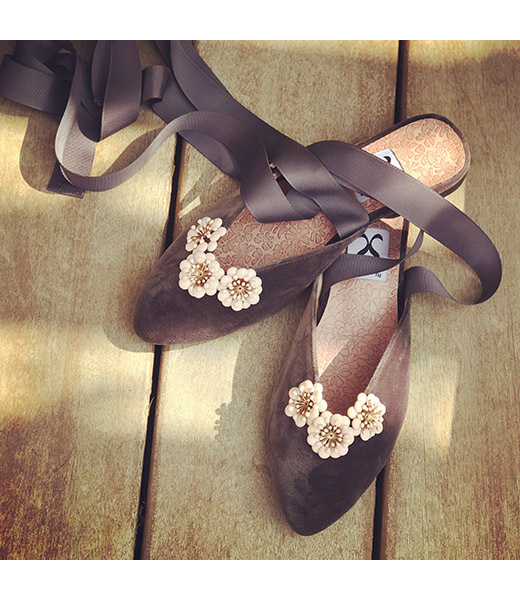 Initially introduced their footwear at small exhibitions in 1998, Samia & Azmay went on to stock at multi brand boutique Labels, the success of which encouraged the duo to introduce their now eponymous label through their first stand alone retail outlet in Karachi in 2002. Equipped with a diversity of European courses and training in shoe design from countries such as Italy and Geneva, Samia & Azmay use only the best Italian leather on specially designed shoe- made specifically for their brand. Utterly quality and design conscious, Samia & Azmay work closely with specialist leather technicians armed with decades of experience, at their own manufacturing facility, to test skins for durability and longevity before using these in any article. Indeed even the brooches used by the brand are designed and manufactured by the team themselves. Samia & Azmay's design aesthetic manifests within the brand and are highly coveted for their experimentation with skins, textures, colours and stones, consistently interpreting popular western footwear trends to an indigenous context, thereby working as style leaders within the footwear industry. The brand is distinguished for their signature introduction of Swarovski encrusted shoes, also using fabrics such silk, satin and jamavar on genuine leather to create elegant and chic footwear and now clutches, for all seasons and occasions. 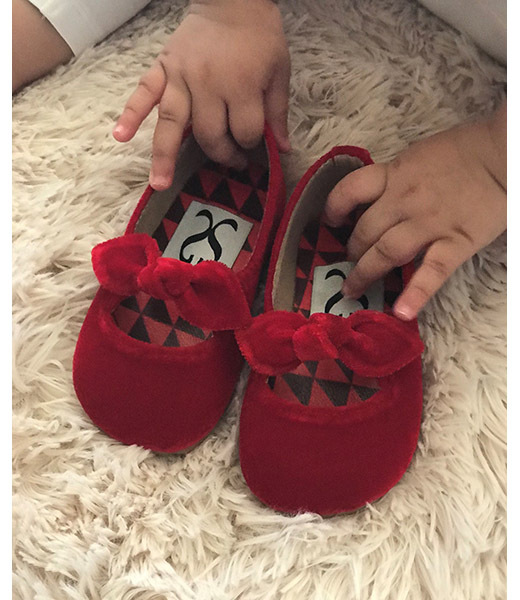 Constantly innovating, the brand has recently expanded to include a line of "˜Shoes for Little Girls' and over the course of their 12 year history they have also collaborated within the fashion industry with leading retail icons and luxury prÃªt wear designers, defining footwear styles at numerous fashion shows and collections to date.